A trip to the northern town of Churchill, Manitoba is not the easiest trip in the world. It can be expensive. There are limited transportation options...and even more limited seasons. But guess what? A visit to this very special region is absolutely worth your trouble. To help you along your journey, here&apos;s everything you need to know about visiting Churchill in the summer months. Kayaking: 3 hour kayaking excursions with beluga whales are offered through Lazy Bear Expeditions and Sea North Tours. Stand-up paddleboarding: Get a new vantage point atop a SUP (stand-up paddleboard) with Sea North Tours. Aquagliding: This brand new Lazy Bear Expeditions experience gets you closer to the water, allowing you to glide along the surface as beluga whales swim in the river. Zodiac/Boat: Several companies offer boat tours of the bay in their packages, or you can do it a la carte with Sea North Tours. Summer may not be polar bear season ( that title is reserved for October and November), but you still have a good chance to see bears as they lounge on the shorelines and play in the vibrant fireweed. While peak northern lights season occurs from January to March, Churchill sees the sky light up with the aurora borealis 300 days a year, which means there&apos;s a pretty good chance you&apos;ll see them on your summer trip to Churchill. The trick is to download the aurora app to track activity, keep an eye on the forecast (clear skies are necessary) and be prepared to stay up late or set an alarm for the middle of the night when the sky is at its darkest. If you&apos;re a birding enthusiast, you may want to consider a trip to Churchill in the spring when activity is at its peak. But that&apos;s not to say you can&apos;t see an abundance of birds in the summer months, too. Keep your eyes peeled for hawks, falcons, snowy owls, tundra swans and of course the rare Ross&apos;s Gull. Every summer, the tundra comes alive with colour as the fireweed blooms and the snow gives way to the orange lichen, miniature shrubs, scarlet bearberries and glacier-sculpted boulders that lay scattered across this unique landscape. Polar bears and beluga whales often take the spotlight for summer in Churchill (and rightfully so), but you&apos;ll also be amazed by the abundance of other incredible subarctic wildlife, from the noble caribou to the hardy arctic fox. Embark on a guided tour and discover the Prince of Wales Fort National Historic Site, an early 18th century Hudson&apos;s Bay Company fur trade fortress. These stone ruins hold stories of fur trade days gone by; complete with a canon, the remains of a powder magazine, and carved signatures of historic people who once inhabited or passed through the fort. This unassuming museum is open year-round and features one of the world&apos;s finest collections of Inuit carvings and artifacts. These delicate and intricate works of art date back to Pre-Dorset (1700 BC) times. Cape Merry offers one of the best views in Churchill, overlooking the Churchill River, Hudson Bay and the Prince of Wales Fort National Historic Site. A guided tour of Cape Merry will provide all the background you need on this historical area. Get a closer look at this ghost ship (which ran aground in the 1960&apos;s) on a guided tour with Nature 1st, Discover Churchill or North Star Tours. Initiated and led by celebrated Manitoban artist Kal Barteski, SeaWalls CHURCHILL is a collection of murals that not only inspire but also educate on the need to protect the world&apos;s oceans. The murals can be accessed by a self-guided driving tour. Don&apos;t leave Churchill without taking a little shopping trip through town. Must-stops include the Arctic Trading Company, Fifty Eight North and Wapusk General Store. Keep an eye on the Churchill Creative Collective Facebook page for upcoming pop-up markets from local artisans. Fear not, the quintessential dogsledding experience is also available in the summertime - just swap the sled for a cart! There are two businesses to choose from: Wapusk Adventures and Bluesky Expeditions. The best (and most carefree) way to experience Churchill is with a tour package. Tour packages will typically cover your transportation from Winnipeg, all your meals, accommodations and excursions. Check out these options! If you don&apos;t want to travel to Churchill with a package, there are do-it-yourself style options available! If you are planning on a DIY trip to Churchill, be sure to also plan to be polar bear safe - this means always exploring with an experienced guide. 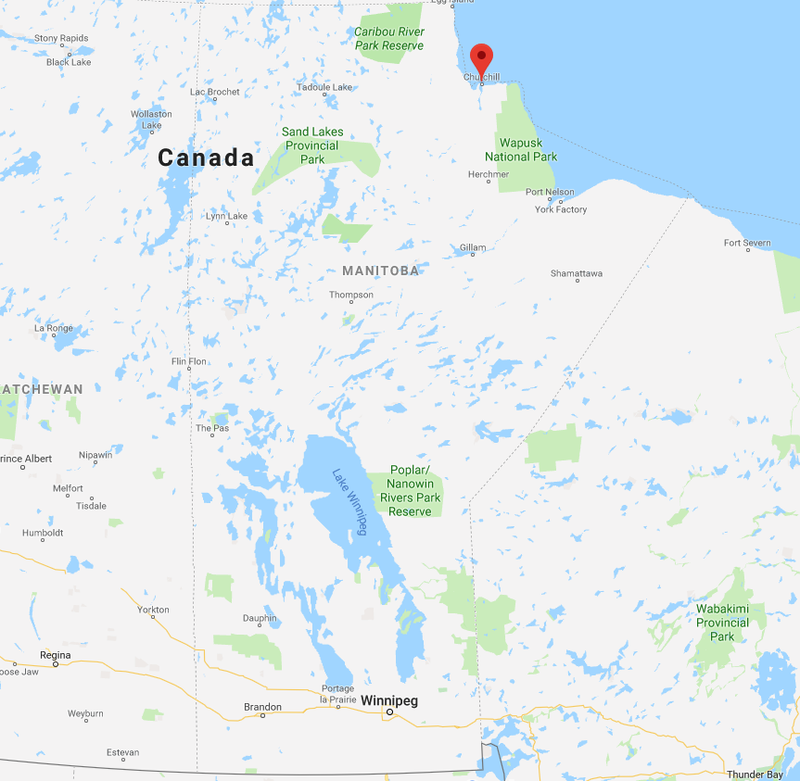 Train: Via Rail offers train service from Winnipeg to Churchill, leaving every Sunday and Tuesday from the VIA Rail Station in Winnipeg and arriving in Churchill 48 hours later. From Churchill, the train departs every Thursday and Saturday. Multiple cabin levels are available. Another option is to combine a train trip and flight with one-way trips! While you can get to Churchill DIY, you will still need to sign up for excursions to safely experience all that Churchill has to offer. Check out these companies for day tours that can be purchased a la carte. With limited accommodations in the town of Churchill, it&apos;s best to make your reservations as far ahead of time as possible. For more on summer in Churchill, visit our website!